Some interesting facts of Copa America ! Copa America is the oldest national team tournament in the world; it has been played since 1916. It has now become one of the important tournaments too. It is the first Copa America not to feature any CONCACAF representatives since teams were first invited. 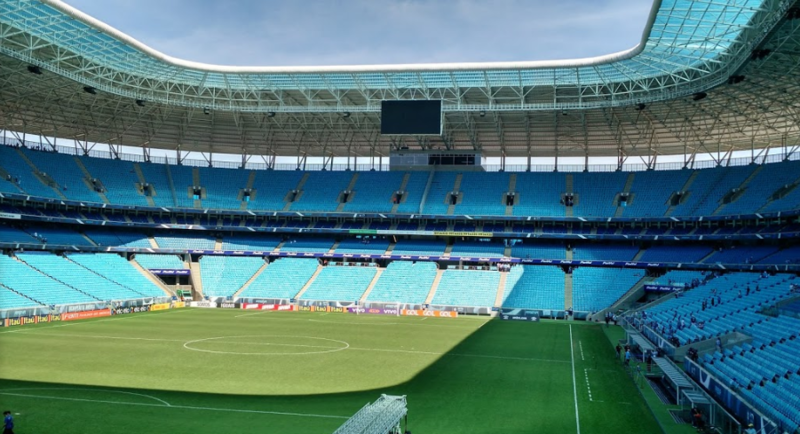 Brazil is hosting the 2019 edition of the tournament, first time staging since 1989.It will be the fifth time the Copa America is being held in Brazil, with the country previously hosting in 1919, 1922 and 1949, as well as 1989. Norberto Mendez of Argentina and Zizinho of Brazil are the all-time leading scorers of Copa America with 17 goals for each till date. Eight of the ten CONMEBOL national teams have won the tournament at least once since the event’s inauguration in 1916, with only Venezuela and Ecuador yet to win. José Piendibene of Uruguay scored the first goal in the Copa America in a 4-0 victory over Chile in 1916. The highest finishing member of CONMEBOL has the right to participate in the next edition of the FIFA Confederations Cup, held before the World Cup but is not obliged to do so. The United States is the only non-CONMEBOL country to host which it hosted in 2016. The tournament was held in multiple South American countries on three occasions (in 1975, 1979, and 1983). Argentina has hosted the tournament for the most times. Guillermo Stábile coached Argentina to six Copa America Trophies. On June 01, 1999 Martin Palermo of Argentina missed three penalty kicks in a 3-0 defeat to Colombia. The Ecuadorian fans don’t like to remember what happened on January 22, 1942 as they suffered a 0-12 defeat against Argentina which also recorded the biggest Scoreline in the Copa America history. In 2011 edition, Paraguay were able to reach the finals without winning a single game in the tournament as they were held to draw in their three matches at the group stage. Chile won their first ever Copa America title in the previous edition. Lionel Messi famously retired in the aftermath. It was his third consecutive defeat in the final of a major tournament – having lost in the previous year’s Copa and the 2014 World Cup against Germany – and his fourth overall with Argentina. Argentina’s Lionel Messi, the current FIFA Player of the Year didn’t win the Copa America or the best player award as he refused to accept Copa America best player award last year. However, Messi will be available for Copa America 2019 though he has not played for the national team since being knocked out from World Cup 2018. No team out of the CONMEBOL claimed the title. Uruguay has won the tournament for the most times, 15 times followed by Argentina 14 times and shockingly Brazil managing to win for only 8 times. This entry was posted in Copa America Special and tagged Copa America, Copa America 2019, Copa America FACTS, iNTERESTING FACTS OF Copa America. Bookmark the permalink.